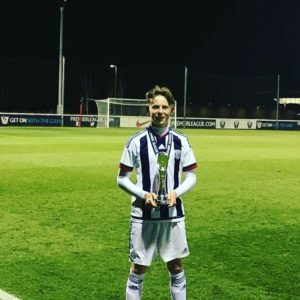 Former Player Signs WBA Scholarship! - Football training for children, football coaching for kids, kids football skills. Soccer Star Coaching.Football training for children, football coaching for kids, kids football skills. Soccer Star Coaching. We are so happy to hear that, one of our former players, Peter Taylor, signed a 2 year scholarship with West Bromwich Albion yesterday. We are so pleased and proud of what Peter has achieved so far. Peter attended our Weekly Course and Camps for 4 years. We hope that some of what he picked up during his time with us, helped him to get to the position he has worked hard to get to. We wish Peter all the very best in his football career and we will certainly be keeping close eye on his progress.